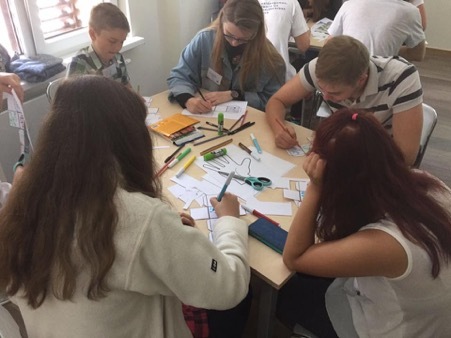 Latvian youth has the main role in the integration possibilities of the people who have come to Latvia due to various reasons. Their point of view is a major element of interest for planning successful future activities in the field of integration and inclusion. Practical workshop methods were used to enable them share their point of view about the refugee topic, integration, inclusion. Attitudes of the youth in comparison with their parents and grandparents beliefs. During the event we got to know about the participants hobbies and interests as well. They also shared whether they would be interested to participate in common activities with the refugee youth. The overall attitude was somehow divided into two camps, on the one side the youngsters who were open-minded and supported the idea, and on the other side the ones with conservative point of view that they would not be interested to meet the youth from the asylum centre.